Laurence Edwards’ studio and Foundry works are situated on the edge of the beautiful Butley creek in Suffolk (UK). It’s habitat landscape and histories have developed into the main resource for his work. 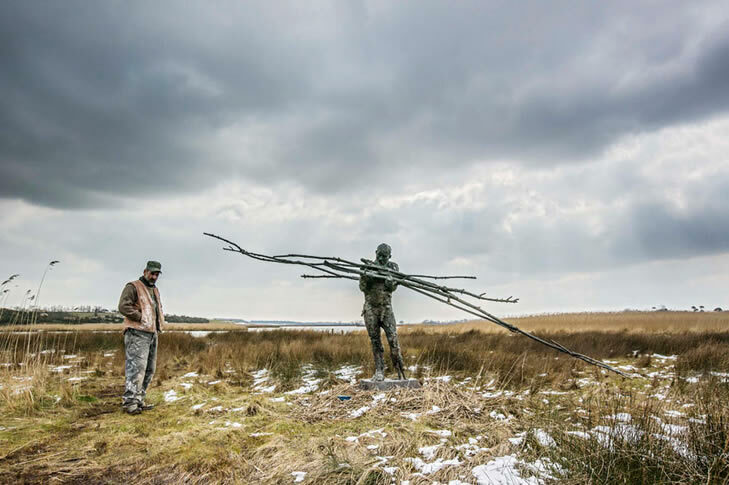 His work attempts to do justice to the locality and its history, by peopling it with large figures that have survived the ravages of the water and the elements.